Ironsword Lion and several of his subordinates currently held a drinking party in one of the private rooms on the second floor of The Enchanted Bar. They heartily downed mouthfuls of Old Tom Gin one after another. An hour ago, Ironsword Lion posted a Guild announcement on the official forums. He had placed a bounty on Ye Feng, intending to start an irreconcilable feud with him. In an instant, Martial Union had become the center of attention of all players in G.o.d's Domain. Almost every veteran player within the region of White River City had heard of him. Right now, Ye Feng's name was carved onto the Glory List at the entrance of the Team Dungeon, Dark Moon Graveyard. After clearing the Team Dungeon, Ye Feng even killed the top-tier expert of Martial Union, Ironsword Lion. He was then publicly acknowledged as one of the Swordsman experts of G.o.d's Domain. The recording of Ye Feng killing Ironsword Lion even spread and was used as a learning model for many Swordsmen. Aside from that, according to the rumors floating about, Ye Feng's relationship with the Snow G.o.ddess was not just a shallow one, and they might be having an affair. Otherwise, why would a G.o.ddess like Gentle Snow, instead of choosing the elite members of her own Guild, choose to take an outsider along into the Dark Moon Graveyard? Many players had long since felt unsatisfied with Ye Feng, and now, with a bounty on him, many players were already tempted into action. Martial Union offered ten thousand Credits for killing Shi Feng just once! Moreover, not only would they be able to obtain the prize money, but they would also obtain immense fame for killing a publicly acknowledged expert of G.o.d's Domain. Such a feat would prove that their strength was exceptional. Right now, the major financial corporations around the world were beginning their investment into G.o.d's Domain, recruiting players for their own Workshops and Guilds. As long as one could prove their strength, they could earn the good graces of these major corporations, receiving very high treatment. So, why not go for it? "Boss Ironsword, this move of yours is just too clever! With this announcement, that Ye Feng is dead for sure this time! Even if he doesn't die, the target on his back will still annoy him to death. Other players will hunt throughout the entire day; he won't even be able to level up," Drifting Blood flattered as he took a drink. "Humph! That's nothing at all. The best part has yet to come." Ironsword Lion sneered, "Now that the son of a b.i.t.c.h has hidden, n.o.body can find him at all. However, it won't matter. I believe that we can find his teammates. As long as we kill his teammates to Level 0, I hardly believe that he will remain hidden. As long as he dares reveal himself, Absolute Heaven will immediately take action. It will be his death when that time comes." Just as Ironsword Lion laughed colding, Shi Feng received a communication request from someone on his friend list. "Are you alright?" Gentle Snow abruptly asked. Shi Feng was slightly astonished. He did not imagine that even Gentle Snow would worry for him. He shook his head, saying, "I'm fine." "If things get too difficult for you to handle, I can utilize the strength of Ouroboros in White River City region to deal with Martial Union. That way, Martial Union will very quickly give up on you." Although Gentle Snow had downplayed her words, Shi Feng knew just how frightening it would be if Ouroboros went all out against Martial Union. Just the tens of thousands of Gentle Snow's fans alone were enough to extinguish Martial Union, not to mention when the many experts of Ouroboros took action. Martial Union would not hold on for even a few days before needing to disband. "Thanks. I'll be careful," Shi Feng said in grat.i.tude. Shortly after ending the call with Gentle Snow, another suddenly arrived. "Brother Ye Feng, are you alright?" Stabbing Heart asked. "I'm fine," Shi Feng replied, a smile appearing on his face. He couldn't help but feel a sense of deja vu. "It's good that you're alright. I saw Martial Union declare war on you. Moreover, they even placed a bounty on your head, paying as much as 10,000 Credits for every kill. The bounty even includes several friends of yours, with 1,000 Credits for each of them. Many of the experts I know have all taken an interest in you, and they will definitely look for trouble with you. It would be troublesome if you tangle with so many people, so it is best if you stay hidden for a while. Otherwise, you can level up with us. With the a.s.sa.s.sin's Alliance's reputation, those experts will give way. If we meet any fools, my side can also help you deal with them." Shi Feng could not help but feel grateful towards Stabbing Heart's worries. He said, "Thanks, but I'll deal with this matter myself. On the contrary, would Brother Stabbing Heart be interested in buying some high-level equipment? I have a few pieces, and I can sell them to you at a low price." Shi Feng still possessed plenty of the equipment he obtained from the Moonlight Forest. Right now, the prices for equipment were at their highest. Their values would depreciate if he sold them in the future, so he might as well sell them to Stabbing Heart right now, turning them into money. Shi Feng previously considered selling the equipment to Gentle Snow. However, Gentle Snow possessed a greater understanding of him than Stabbing Heart. It would be bad if she discovered something unnecessary about him. Hence, Stabbing Heart was the best choice to sell the equipment to in this case. "Really? With the new influx of players right now, our Guild became sorely lacking in equipment. If you could sell them at a lower price and trade fully using Credits, then I will buy as much as you have." Right now, the available equipment on the market was fervently contested over. Meanwhile, Stabbing Heart knew Shi Feng would have a lot of equipment. After all, Shi Feng managed to clear the Dark Moon Graveyard. That meant that the other Party Dungeons would be easy pickings for him. Moreover, Shi Feng only had a single party under his command. He would definitely possess plenty of extra equipment. If Stabbing Heart could purchase all of it, it would be a huge boost to his Guild. "I'm busy right now. How about we meet up and trade inside the Hotel at the Trade Area?" Shi Feng asked. "That would be great! I also need to some time to collect the money needed," Stabbing Heart replied with a smile. Following which, Shi Feng disconnected the call with Stabbing Heart. He then sent a message to Blackie and the others, telling them to be careful of ambushes from other players. Currently, with Blackie and the others' equipment and level, a dozen or so average players could not do anything to them at all. Shi Feng was only afraid of those elite players taking action. Blackie and the others would not have an easy time if they truly met up with such players. Hence, it would be best if they took precautions early on. After receiving the information, Blackie immediately led the others to depart from their current grinding spot. They went to an even more secretive location Shi Feng gave them. It would not be easily discovered, even by those pro players. "Martial Union, since you guys want war, then to war we shall go!" Shi Feng's eyes flashed with a cold glint. 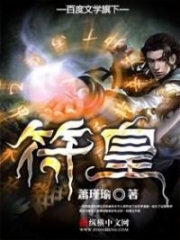 Shi Feng's mind constantly considered how he should earn money in G.o.d's Domain and his future development in the game. He did not imagine Martial Union would send a top-tier a.s.sa.s.sin at him, and even go further to place a bounty on his head. They had gone too far. Did Martial Union think he would be helpless against them? Shi Feng immediately logged onto the official forums. Using the name Ye Feng, he sent out a declaration. Martial Union, since you guys want war, then to war we shall go! I now place a bounty on all players from Martial Union! As long as you can kill a normal member of the Guild, you will receive a reward of 100 Credits or 1 Silver Coin! For one of the upper echelons of the Guild, every kill will earn 1,000 Credits or 10 Silver Coins! As for Ironsword Lion, I will pay you 5,000 Credits or 50 Silver Coins for every time you kill him! This bounty will be effective until Martial Union completely disappears from Red Leaf Town! After Shi Feng issued the post, it instantly caused a sensation in the forums of all of White River City region, giving rise to a raging tempest. A single independent player actually dared to declare war against a large Guild. This was a first in the entire G.o.d's Domain. Before this, one would only hear about Guilds issuing bounties on a single player. It was the first time players had actually seen a single person place a bounty on an entire Guild. The players who read Shi Feng's post were completely astonished. If a large Guild acted rich and overbearing, then so be it. However, they never imagined an independent player would also make such a move. Said player even placed bounties on every single member of a Guild. Although it was only limited to the area within Red Leaf Town, a large Guild would still have several hundreds of players there. The money needed for such a feat was impressive, and such a way of spending was no different than running water. Even tyc.o.o.ns would not dare play in such a way. If you like the novel, my translations, and Goblyn's (and sometimes Mind's) edits, please leave a ! You're Read Reincarnation Of The Strongest Sword God Chapter 130 online at NovelOnlineFull.com. You can use the follow function to bookmark your favorite novel ( Only for registered users ). If you find any errors ( can't read,broken links, can't load photos, etc.. ), Please let us know so we can fix it as soon as possible. And when you start a conversation or debate about a certain topic with other people, please do not offend them just because you don't like their opinions. You're reading Reincarnation Of The Strongest Sword God. This manga has been translated by Updating. Author(s): Lucky Cat. Already has 6580 views. Current Time is 25-Apr-2019 14:02:44 PM.